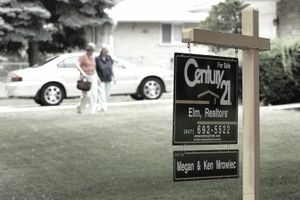 Realtors should introduce sellers to the realities of showing their home. You've probably already talked with your sellers about the physical work involved in getting a home ready to show, but you also need to prepare them for what it's like to have strangers periodically walking through their house. Giving sellers a course in Buyers 101 will help them understand the important principles of showing their home. Sellers should be aware that same-day and even last-minute requests for showings are common, so sellers with a "24 hours notice to show" stipulation often cut themselves out of a good chunk of the buying market. The only standard hefty lag time that should be necessary is when you must give ample notice to tenants of a rental property. Once a house gets tagged difficult to show by agents, you won't receive as many calls to show it. If sellers choose to make showings difficult, be sure to tell them now that it will cut down on showings—and fewer showings equals fewer potential buyers. Explain to your home sellers that most agents do try to arrive within the scheduled showing time, but sometimes it isn't possible. They may get stuck in traffic, or the house they saw prior to your showing took longer than expected. It happens, and sometimes it happens too late to be fixed by a phone call. Encourage sellers to stay away from home a little longer than they think is necessary, just to make sure they don't interrupt a showing. This is almost always a bad idea. Sellers think agents and buyers won't be able to find everything, that they must be there to point out important features. Truthfully, most just want to be present to see buyer reaction firsthand. Sellers should be aware that, at the very least, buyers feel uncomfortable when they are present and that, in the worst scenario, it can actually kill a sale. Buyers often won't open closet or cabinet doors when the seller is home, and when they cannot view a house comfortably, they'll hurry up and move on to the next one. Some sellers want to talk—and not just about the house. You never know when a buyer will be turned off by the mood of the seller or by a statement the seller makes. Buyers are there to look at the house, not chitchat about hobbies or the weather or worse—politics and other controversial topics. If sellers must be home during a showing, counsel them to go outside or stay put in one location, not wander around with the agent and buyers. If you're selling a large estate or complicated property, it might be the norm to plan on being present for all showings, but it's not necessary or smart for the typical house. Explain to your sellers that other agents generally feel uncomfortable with the selling agent hanging around, listening to and participating in conversations with potential buyers. The buyers' agents won't feel free to have open discussions about the house in front of you. There's another negative that may be more important: Busy agents don't have time to work around your schedule. Requiring the listing agent to be present for all showings is another way to give the house that difficult to show reputation. If your sellers are worried about precious items getting stolen, they should store them away in a safe location. Packing up collections and small personal items is part of the process they should have already gone through to prepare the house for showings. Pets should be out of the house during showings, especially large dogs that may intimidate potential buyers. Ferocious-sounding barking coming from inside the house is enough to make some home buyers turn around at the front door. If there are pet odors, talking with your seller about the subject can be tricky because most people are not aware of odors in their own home. You'll have to be tactful to deal with this subject, but it must be addressed. Your sellers don't want buyers to remember the home as the house that smells. Share showing information in a "did you know this about buyers" tone rather than simply telling sellers what they must do. Explaining why these steps are important helps sellers realize that it's in their best interests to comply. Consider putting showing advice on paper in an easy-to-read format. Give the sellers a day or so to digest the information, then ask if they have any questions about it. Show that you respect the sellers' opinions by asking what they think are the home's best features, then spotlight those features in a flyer or brochure that can be left on a table for prospective buyers. Sellers usually just want to help. It's up to you to figure out a way to give them a role in the sales process—one that is truly helpful and that won't have a negative impact on showings.